Get a peek inside Apple's latest devices, which are held together with tons of glue. The team at iFixit immediately got to work taking apart the new iMac, keyboard, mouse, and trackpad, and while each teardown is worth a read, we picked out the highlights. The new iMac is almost impossible to repair. The 21.5-inch Retina iMac’s RAM is impossible to remove from the logic board, so as usual, you’re stuck with what Apple baked in. Same goes for the CPU. The lack of a Fusion Drive connector on the logic board means you can’t upgrade storage. 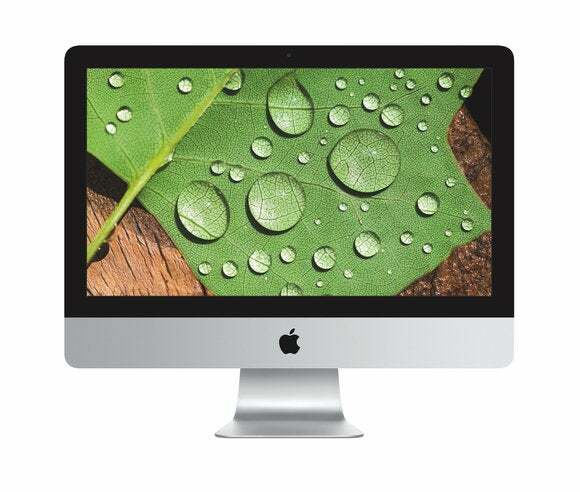 Last year’s 21.5-inch iMac at least let you upgrade RAM and your hard drive. Buyers will have to factor in the new iMac’s Fusion Drive storage downgrade (from 128GB to just 24GB of flash storage, with the rest of the 1TB to 2TB a spinning hard drive) and its low repairability score (a measly 1 out of 10, meaning it’s the most difficult to repair) if storage and DIY fixes are huge concerns. The $79 Magic Mouse 2 is almost as impossible to fix on your own as the new iMac, though at least the mouse is drastically cheaper than a Mac if you need to replace it. The device is held together by tons of adhesive, making it difficult to pry out and swap components, just like the first-gen Magic Mouse. This model is different because it’s rechargeable, but as others have noted, the mouse’s oddly placed Lightning port makes it impossible to use while charging. You can replace the Magic Keyboard’s battery, but it still scores low on the repairability scale because of all the adhesive inside. The new $99 Magic Keyboard also has a Lightning port, but thankfully you can charge and type at the same time. The keyboard fares slightly better than the mouse and iMac in terms of repairability, but only slightly, with a score of 3/10. The adhesive holding its components in also makes it very, very difficult to replace parts. The battery, however, is relatively easy to disconnect because it’s not soldered in, but it is held in place with strong adhesive strips. Good luck getting that thing out. iFixit found that the new keyboard uses a “reeingeered” scissor mechanism instead of butterfly keys to increase stability and key travel, confirming what Apple said. The Magic Trackpad 2 has a Taptic Engine, similar to the 12-inch MacBook trackpad. Then there’s the $129 Magic Trackpad, which brings Force Touch to your iMac. The trackpad is much larger than the last-gen version, released five years ago, but gives you the ability to Force Click—a harder gesture than a normal click—to reveal layers of options. iFixit found that the Magic Trackpad 2 has the same Taptic Engine that the Retina MacBook and MacBook Pro do, so the experience will be the same. The trackpad also has a giant battery, nearly iPhone 6s Plus-sized at 2024 mAh, to the iPhone’s 2750 mAh battery. iFixit’s teardowns reveal that Apple’s latest iMac accessories are huge upgrades from their predecessors, which hadn’t been refreshed in quite some time, but they aren’t easy to fix on your own if you need to.